Buying an Airstream can be a big purchase. They are one of the most expensive travel trailers you can buy and they hold their value better than all other brands. Making sure you get the best price possible could save you quite a bit of money. Typically you are going to buy from a dealer or an individual seller. Each has rather different strategies. Airstream dealers are always going to try and make the most profit they when selling you a trailer. They want to get the highest price they can from you for a given trailer yet still make the sale. Generally, this means you aren’t going to get any amazing bargains, but dealers will have a very good selection and can provide you with helpful advice and services an individual seller cannot. Airstream dealers are not part of the Airstream company. They are independent businesses that have a relationship with Airstream to buy and sell their trailers. Anyone selling new Airstreams is as close to an official dealer as you can get. There are three factors to consider when picking a dealer: reputation, location, and selection. To find dealers in your area you can google for them, or try Airstream’s dealer finder page. Generally, the close the dealer is to where you are based out of, the better it is for you. 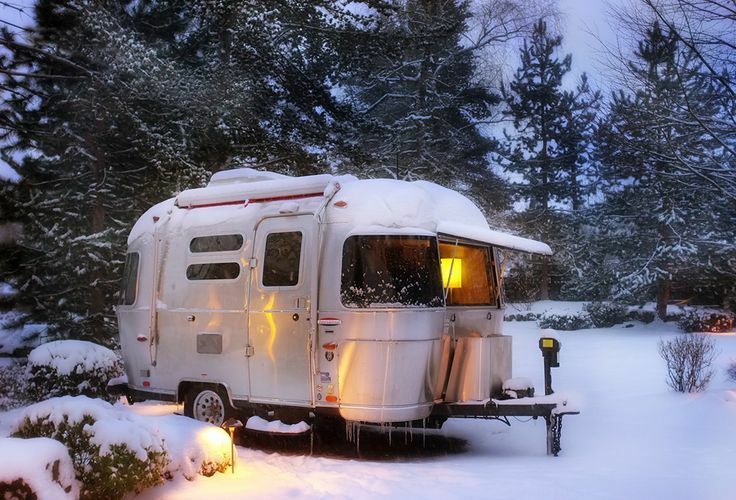 You may need to make a few trips there to shop, negotiate, buy, pick up, and service your Airstream. Being close by also means you have more leverage because it costs you nothing to walk away from a bad deal. Checking the dealer’s reputation through any of the usual review sites can be helpful in avoiding disappointment. Keep in mind most dealers have a sales department and a service department. Sometimes one is good while the other is not. Actually read reviews, especially the bad ones to see if there are specific problems to watch out for. Finally, there is the selection. The bigger the selection on the dealer’s lot, the more likely you will find a good deal on the Airstream you want. Keep in mind that many dealers can and will try to find something for you if they don’t have it, though this can come at a premium cost. Getting rid of the inventory they have is often more a priority than ordering custom rigs for folks so you have a bit less bargaining power. Most sales folks are not like this character, but find one you like before negotiating. 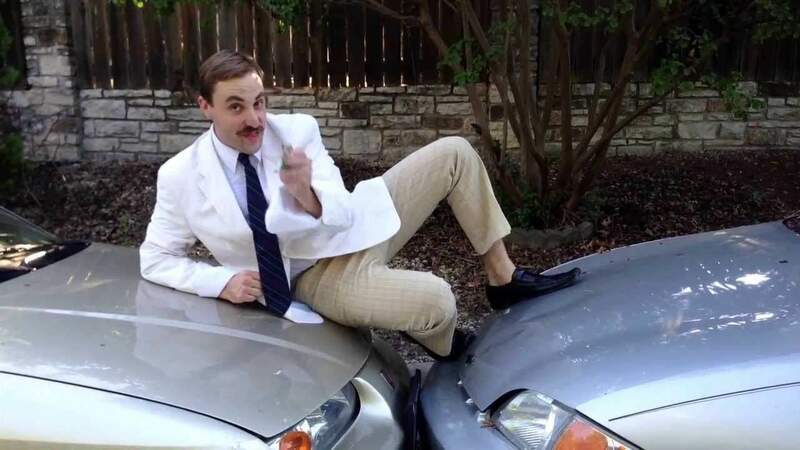 At a dealership, you are going to be dealing with a professional salesperson. This person is generally going to be very friendly but they are not your friend. Their goal is to get the highest price they can and to close the deal with you as quickly as they can. Your mission is to get the Airstream you want, at as low a price as you can manage. Generally, when you arrive at a dealer a salesperson will come by to speak with you. Next, you tell them what you are looking for and they show you trailers and prices. You should have a few goals while you have a look. If you liked your salesperson, I suggest you try to build a sales relationship with them. Get their card, learn their name, and promise you give them first dibs on selling you an Airstream provided the price is right. Tell them you are not ready to buy today but need to have a discussion based on what you saw today and to do some research. If you didn’t like your salesperson, this is a good time to part ways. Next time you hit up the dealer, ask for someone else. You really want to avoid any sales person that seems dishonest, overly pushy, or whom you find intimidating. These little guys are so cute! I don’t think I’d full time in one but for camping, it’s hard to beat! Armed with a list of the models and options you really liked and the prices they were offering while you were at the dealership, you should embark on some discussion and research. Talk or think about what you really want in a trailer, what is essential, and what is a nice to have. Also, figure out your financial options. Decide what you can afford and how you want to pay for it. If you are going to need to finance your trailer it is best to investigate what financing options you can get independent of the dealer. Call your bank and see what they have on offer. Do some internet research and see if you can find a better deal elsewhere. Getting pre-approved for something in the price range you are looking at can really help. Some dealers offer decent financing but they will be looking to make a cut of it if they can so don’t let them be your only option. Head over to the Airstream website to find out what the MSRP is for the models you looked at. Keep in mind options can change prices a fair bit. Google for other’s selling the same trailer and see what they list it for. If you are dealer shopping, stick to dealer offers for comparison. Make note of the best prices you find and where they are offered. Pretty much no dealer is listing their bottom price on the trailer sticker or online. The rule of thumb is you are looking to get from 20%-30% off the MSRP if you drive a hard bargain in the right circumstance. This is “best price possible range” with 30% being an outrageously good discount, probably due to very special circumstances. If you aren’t into the hardest of bargaining, a price in the 15%-20% range is still a very decent deal. If you know the trailer you want, decide what price you want to get and write it down. This is going to be your starting point for negotiations on the price the next time you talk to your salesperson. A shiny new 30′ airstream will set you back a good bit. Base price for this model is 101K. Ours has many extras. We got it at about 20% off MSRP. When you are ready to negotiate you need to be ready to buy. It is a waste of your time and the salesperson’s time to dicker over price if you aren’t ready to commit to the deal. That doesn’t mean you have to have the cash on hand or the loan pre-approved, but you need to be ready to move on getting the money or the loan soon after the deal is made. That doesn’t mean you are determined to buy. Your main leverage with the salesperson is your ability to say no and walk away. If they know you are willing to not buy and to wait for a better price, they are more motivated to go as low as they can. Tell them up front you are ready to buy, but also able to wait if you can’t make a deal. Timing can be important. Dealers are most motivated to sell when new models are coming on the lot. Any models from last year will depreciate quickly so they are eager to sell them. Salespeople are often most motivated to sell near the end of a fiscal quarter or during a promotional sale. Negotiating when they are not especially busy is also ideal. Finally, RV shows are a great place to negotiate, especially on the fist and last day of the show. If there is a local RV show, chances are good your local dealer will be there. If you have already made contact, it’s a great place and time to negotiate. 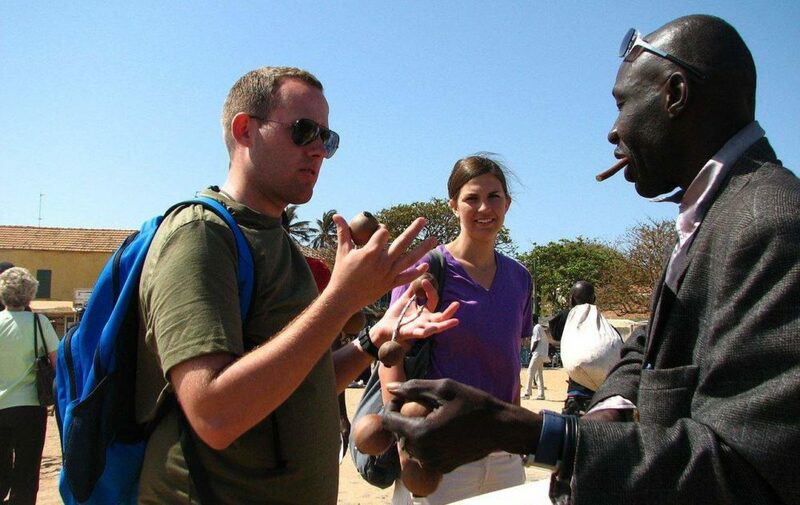 Haggling is something found in every culture, a universal language of sorts. It’s well worth learning! Your goal is not just to get a price you are happy with, but to get the best price you can. If you are prepared, you should have written down the price you want to pay for the Trailer you want to buy. Bring that with you along with the MSRP and the dealer’s original price. It’s possible that trailer is gone and you need to consider alternatives. The dealer and MSRP prices give you a relative point to adjust your preferred price. When you get there, make contact with your preferred salesperson. Seeking them out will gain you a little favor as you are helping them get the sale. Ask if the Airstream you want is still for sale. If it is, ask to take another look to get them engaged. Ask again about the price, chances are decent they will make you a lower offer. Without responding to their offer, tell them the price you want to pay based on your research. Now you are haggling. The key here is to strip away the words and focus on the numbers. Your salesperson has all kinds of tactics to try and justify a given price. Try to ignore all that in your head and respond with statements like “I understand” or “that makes sense” to keep things polite. What you want to do is hear their next counter offer, and then offer your counter-counter offer until you can both agree on a price. If they don’t negotiate at all, go ahead and head home, it’s your strongest play. Tell them to contact you if they change their mind but that you will look elsewhere for the price you want. If you think you are getting close, try to seal the deal with a half-way between your latest offers. Some of the vintage Airstreams are prized for their incredible mirror polish. One in this condition can fetch a real premium price. Buying from a dealer is a known quantity. Dealers have common motivations, training, and circumstances. Individual sellers are a mixed bag. Some could be hard up for cash, others looking to make space in their driveway, and some may make a living flipping RVs. These days nearly anything for sale can be found online. Craigslist reigns supreme for online local classifieds and is a good first stop though it’s best to be scam aware while using it. Ebay is also a good bet though it is not as focused on local sellers. 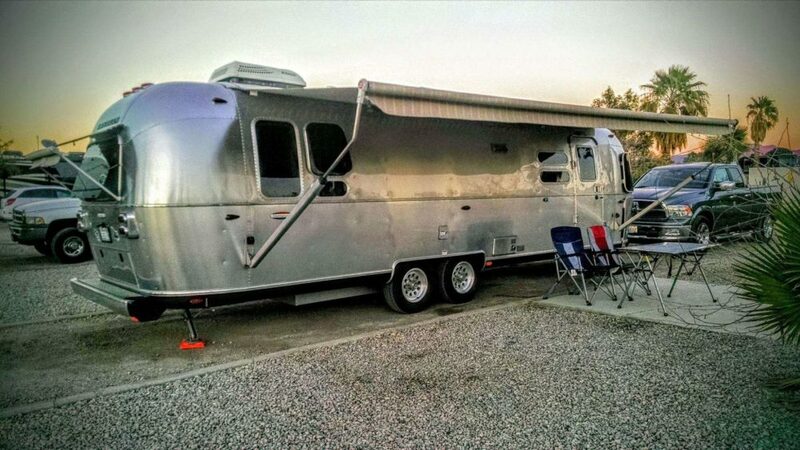 There are a number of trailer specific classifieds such as RVClassifieds and RVTrader and even Airstream only sites like Airstream Classifieds. You may find that trailers listed are actually from dealerships rather than individual sellers. Looking at local trailers has the advantage that you can go and check them out in person. Looking outside your local area has the advantage of a much larger pool of sellers and thus potentially better prices and selection. Unlike buying a new trailer, buying on the used market means if you see something you like, and wait too long, you may well miss out. When looking seriously at used trailers, you need to be ready to buy quickly to get something once you find it. Individual sellers are not likely to hold it for you when someone else is ready to pay. If you need to finance your purchase, you will likely need to get that sorted out ahead of time. Things are easy if you have a line of credit based on home equity. That means you have ready cash without needing to pay interest until you use it. If you don’t have home equity, things can get trickier but it can still be done. Lenders will often charge higher interest for purchase from individual sellers due. Also, it can be a little tricky making sure the loan can be arranged fast enough for the sellers liking. Researching price is tricky. Since you are dealing with used trailers, MSRP won’t tell you much. Airstream prices are not as commonly tracked and condition, rarity, and other ephemeral values can impact price. There are sites like NADA that offer price guides. Many of the classified sites also have price lookups like this one based on their listing history. Keep in mind they are rough guides based largely on past sales. Ultimately the price is what you and the seller agree it’s worth. This is a 1950s era Airstream with a very cool customized interior. The good news here is that you are likely not dealing with a trained salesperson. The bad news is that means negotiations can be unpredictable. Most of the haggling tips above are going to apply. Walking away from the deal is a little less reliable. Some folks have a set price and just don’t want to negotiate. Walking away won’t likely change that. One thing that can work with individual sellers that typically won’t with professional salespeople are being friendly. If the seller likes you and thinks you will benefit from the trailer, they may be willing to cut you a little better deal than someone they don’t have a rapport with. It’s very important when buying used that you carefully examine the trailer you are buying. All the tips for that are outside the scope of this guide, but if you find problems that the owner didn’t consider, that can be a negotiating point in price. Trailers from individual sellers are “as is,” you can’t take them back and it’s almost impossible to get redress for problems you didn’t know about. Thus any condition problems you find should be factored into the price. Great article. Any idea if the same 20-30% discount range would apply in Canada? We seem to have fewer dealers here. Any insight appreciated. I can’t speak with any certainty on that. I suspect it would though. Though in Canada there is VAT to consider, though I presume that get’s baked into the price to some extent. Hitch, GREAT article on buying an AIRSTREAM. Have you or any of your readers had experiences with Texas AIRSTREAM dealers, specifically Camper Clinic II located in Buda, TX? They are NOT a 5-RIVET dealer. The closest 5-RIVET dealer is Vogt RV in Ft. Worth and that is 4 hours from where we live in Austin, TX. THANKS in advance to your reply. Hi Lee. I don’t have any direct experience with any dealers in Texas. Hopefully, someone else does. I can say that I really enjoyed traveling in Texas and spending the winter there in 2016. I am looking at buying a 2017 or 2018 Sport 22FB Pre-owned from a dealership. What percentage discount should I try to negotiate and what do you think I can expect off of the sticker price? Hi Joana. I’m afraid I don’t have especially good advice on this question. I don’t know the used market well enough to give you a good figure. Generally, any new Airstream instantly looses around 10% of its market value the moment it gets driven off the lot. Not for any truly good reason other than there is simply a premium on new Airstreams. The sticker price is pretty inflated so I’ll say shoot for 25%-30% off MSRP as a ballpark. But again, I’m not super confident about that. I’ve not done a lot of reading about the secondary market prices for late model Airstreams. But I will say, with any negotiation, it doesn’t usually hurt to start at a very low number (as the buyer) the worst that happens is they say no. So perhaps lead with 35% off MSRP and then wiggle your way up if they don’t bite. Very good write up – thanks. Do dealers do custom orders? If so, given that they don’t have to carry inventory, wouldn’t that eliminate some financing costs for them, resulting in an easier obtained good deal? I think all or most Airstream dealers will do custom orders from the factory. Given a choice, they’d probably like to sell you one they already bought and which is taking up space and interest. Because they stock in advance, they can’t really take advantage of the fact that they don’t have to pay interest or use space for yours. If you finance through the dealer, then it may work out to their advantage. I think if you let them know you are shopping around for where to make the custom order, that will help counteract the idea that you are a highly motivated buyer. The Airstream we bought was actually a custom order that another customer made, and then backed out of before closing the deal. Hey bro! I really love your picture. I would be happy if you can borrow me your airstream picture on business use.Thanks. When do most Airstream dealers get new inventory? I’m looking at a 2018 Bambi Sport (which they have 2 of) so I’m waiting for the new inventory so I can get a better price. The 2019 sports are likely to show up in the fall, September-October or thereabouts. It varies a bit depending on production and the individual dealer’s priority. Entirely new lines tend to show up in late spring since mid to late spring is the biggest sales window for most RVs. When buying from a Dealer, how does the cost of options such a,s Solar Panels figure into the negotiations? Is it advisable to negotiate on the cost of options as well? I’d say it depends on the situation. When you are asking for options to be added, they know it’s something of value to you and will hold that in the price. If it’s something already on a trailer in stock, then they are more likely to shave down their margin on it as part of the overall deal on the trailer. I will say that there is pretty much always a hefty mark up on options you get from the dealer, so that is where part of the negotiability in the overall price comes from. I would suggest doing some research on what price you can get to install the same equipment third party and have that as a bargaining chip on the price of add-ons. If they can’t come close to matching it, it’s best to simply get it done elsewhere after you buy the trailer. Does the ~20% off MSRP also apply to the Airstream Interstate Luxury class B conversion? Depending on options, the MSRP is around $190k. From my experience so far it doesn’t seem as though the sales people are willing to give much of a discount. The most I’ve come across so far is $10k off. Honestly, I have a lot less experience with those. I suspect it is harder to get as steep a discount on those due to Airstream re-selling a vehicle manufactured by their partner. The margins are probably a bit smaller, though that’s mostly a guess on my part. I’ve also done a lot less looking into sale prices on the Class Bs. I’m sorry I can’t be of more help on this one. You mention getting 20% – 30% off of list price. How did you do when you bought yours? Thx! Our list was 108K. We paid 88K so we got an 18.5% discount. I am admittedly not a hard bargainer myself. I didn’t haggle or negotiate over the price when I bought it. We went and looked at different models and made contact with a salesperson we liked. I promised her if she could find us a good deal, we would buy from her. We bought ours at an RV trade show about two months later. We came in, visited our dealer’s area, and talked to our salesperson, who remembered us. She made us an offer while we were there, and we said yes. I think if you drive a hard bargain, you can get 20% off by following this advice. I think to get closer to 30% you would need to also have circumstances on your side, like a dealer that is desperately trying to clear inventory or the like. In the realm of possibility, but on the outer edge of what is realistic. I did have one person correspond with me based on this article who reported he ended up getting 23% off while he was trying for 25% as a goal. I had recommended my sales person to him and I ended up getting a small commission as a result. So he did better than I did with the same dealer and salesperson because he was motivated to drive a hard bargain.